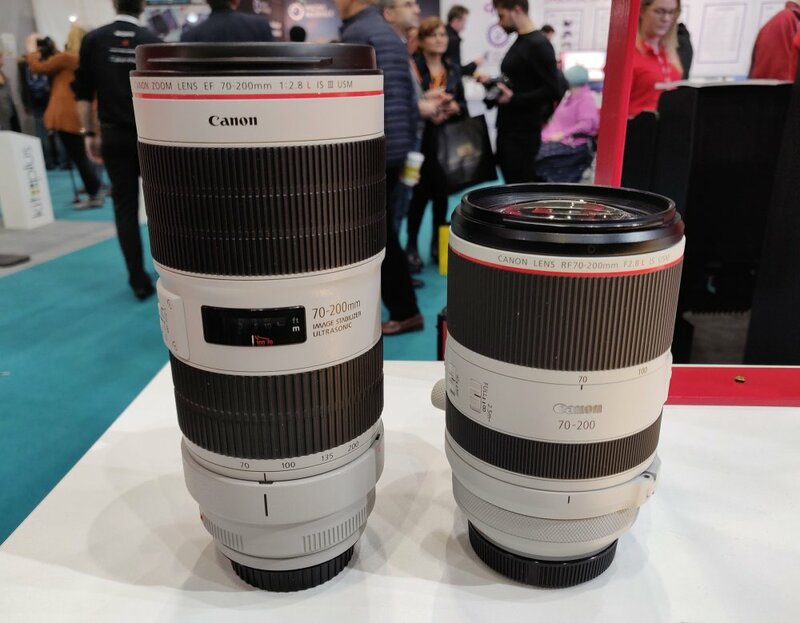 Five Canon RF lenses, including the ‘trinity’ lenses, make European debut at the recently concluded The Photography Show 2019. Canon showed off five full-frame lenses it plans to add to its RF mirrorless ecosystem. Four of the lenses are new L-series lenses plus the 24-240mm which is also ultra-compact superzoom lens. 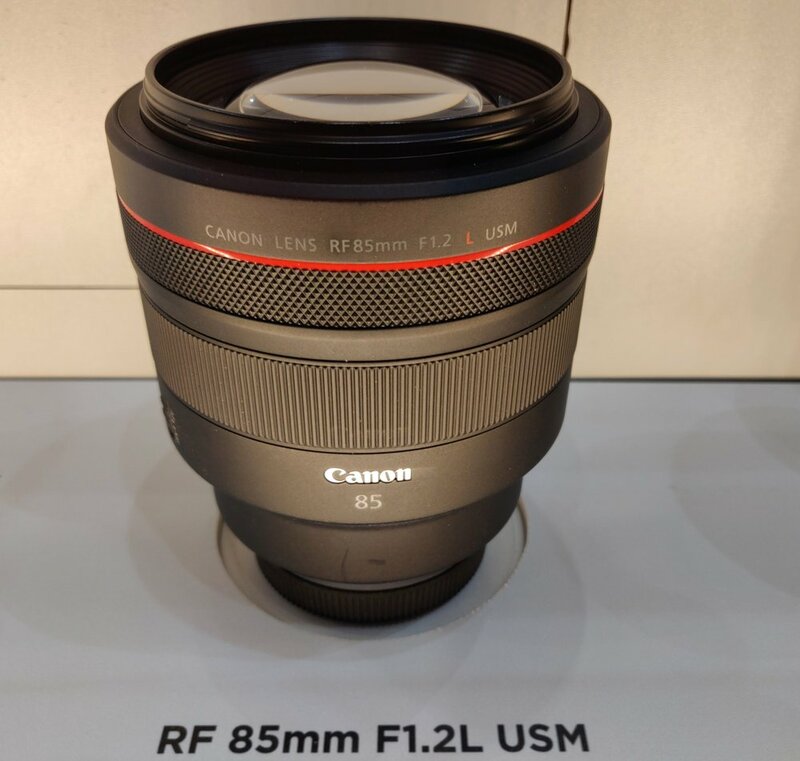 The development of these latest RF lenses on the company’s roadmap will provide users with more lens options for Canon’s EOS R and EOS RP systems. 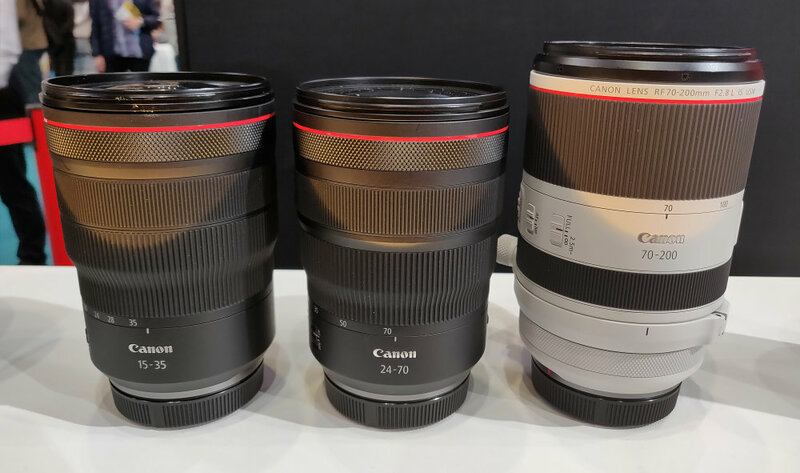 Canon’s Product Intelligence Consultant, David Parry said that the company intends to release all the five lenses in 2019. He explained that the lenses releases will happen at different times throughout the year. All five lenses which includes the trinity lenses – the 15-35mm, the 24-70mm and the 70-200mm – are L-series lenses. Furthermore, they are all f/2.8 lenses with USM and IS which is really exciting, to say the least. It will be really cool to have a 15-35mm super wide-angle lens which is also IS. Furthermore, Canon plans to design the full-frame lenses to run on its latest motor technology. Parry said that the company believes that the motors inside them are going to be Nano USM motors. This is great news for users of Canon R systems who are already looking forward to having the 24-240mm ultra-compact superzoom lens. The lenses on display are mock-up designs. The new 70-200mm f/2.8L is a telephoto zoom lens for the full-frame RF system. Very impressive is the remarkably compact design of the Canon RF 70-200mm f/2.8L IS USM. It measures around two-thirds the size of the Canon EF 70-200mm f/2.8L IS III USM. When placed side by side its EF DSLR version, it comes up close to the focus ring of the EF counterpart. It must feel better to have a smaller and lighter mirrorless system. Canon says that it will be making a defocus smoothing (DS) version of the RF 85mm f/1.2L USM lens. According to the company’s explanation, the lens will employ different lens elements to give a distinct look to background and foreground blur. The bokeh effect will turn out much smoother and change with aperture too. This means that a photographer will be able to get varying degrees of effect which depends on the aperture of choice. 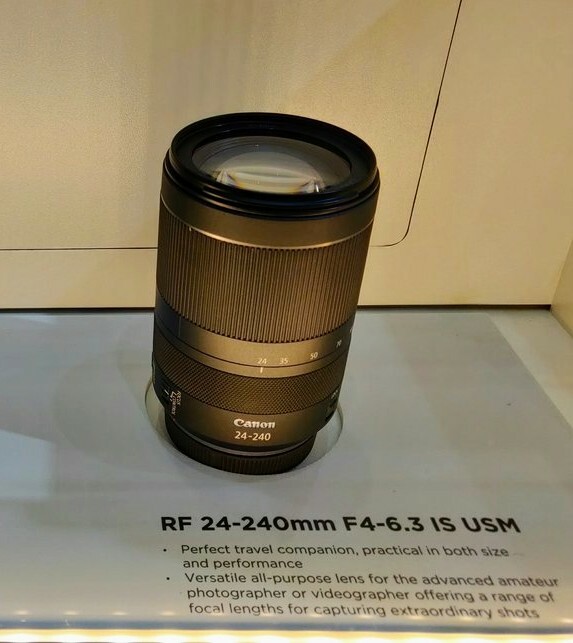 Also on display at Canon stands (D141, E131) at The Photography Show was the Canon RF 24-240mm f/4-6.3 IS USM. It is an ultra-compact super-zoom lens with 10 times optical zoom. The RF 24-240mm has its control ring closer to the body of the camera which makes for easier access. Unlike the other four lenses, the RF 24-240mm f/4-6.3 IS USM is not an L-series lens. Its design makes it a perfect fit for the Canon EOS RP.